Photo by Phyllis Trevor Higgerson. See more of Phyllis's work at henhurst.com. With the increase in food allergies, the rise in obesity rates, and the various finicky diet fashions, the subject of food has officially become "loaded." The Literary Mama staff recommendations for this month's food theme reflect that too, as they touch upon emotional eating, unadulterated pleasure, and the role of food in family life. 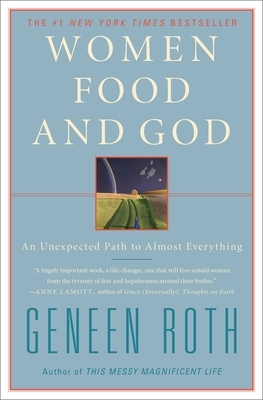 Women Food and God, by Geneen Roth, is a book less about food than about feelings and how so many of us eat to numb pain. But it is not just about emotional eating either. It’s about control, resistance, courage, and becoming aware of what our bodies are telling us. 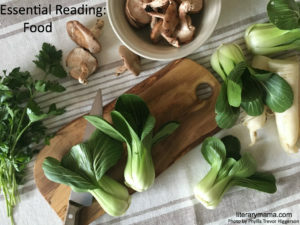 Roth, who has penned several books on our emotional relationship with food, weaves together stories of her own struggles and those of students who join her retreats, offering us an opportunity to identify ourselves in a wide variety of behaviors. Reading her book is often uncomfortable, because it requires us to consider staying with feelings that we would perhaps rather drown with food. She writes, "Staying where you are with what you are feeling or seeing is the first step in ending the obsession with food." But it is ultimately an act of self-love for anyone who wants to explore and repair an unhealthy dependency on food, by helping us to understand what we are really hungry for. To anyone who practices mindfulness, Roth’s advice will sound familiar: to be in the moment, notice what we are feeling, and accept our chattering mind non judgmentally. This book will not show you the path to effortless peace around food or your body, but it may start you on the path to being more conscious about why you are eating, rather than what. Sarah Plummer, Poetry Editorial Assistant writes: "Consciously or not, we form many memories around food in the course of a life. Sensory and emotional experiences are deeply embedded within our relationship to certain dishes and flavors. Muriel Barbery's novel Une Gourmandise (translated by Alison Anderson as Gourmet Rhapsody) is filled with this kind of gustatory nostalgia that is so distinctly unique for us all. For Monsieur Pierre Arthens, the greatest food critic in the world, and central character of Gourmet Rhapsody, it is the 'cottony bliss' of supermarket chouquettes that fill him with maddening rapture as he lies on his deathbed. The book is written from multiple viewpoints, each a refraction of Monsieur Arthens. His wife, children, mistress, and even Rick the cat, all take part in reminding us how and why we are compelled to love difficult people. 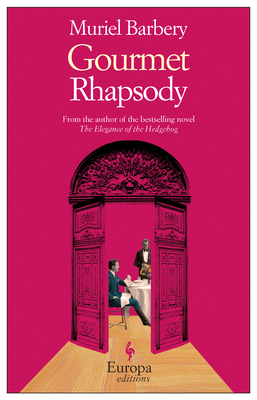 Gourmet Rhapsody is a tale of tragic normality: fractured relationships, loneliness, and 'that mysterious region in our most secret self . . . the apotheosis of authentic desire and unadulterated pleasure.' If you are looking for a book that will make both your mouth and your eyes well up, this is a worthy candidate." Finally, we pay homage to the role that food plays in family life with a literary smörgåsbord of five books on food and family from our archives. Katherine J. Barrett, Literary Mama's former senior editor reviews a delicatesse selection, including a practical recipe book, some fanciful fiction, an autobiography, and two evocative essay collections. You can read the full article here. Over to you: What emotions does food invoke in you? What is your comfort food? Share with others in the comments below. Phyllis Trevor Higgerson is a photographer, decorator, designer and blogger, who lives in New Hampshire and Rhode Island. Her photographs and interior designs reflect a calm, fresh, New England style.